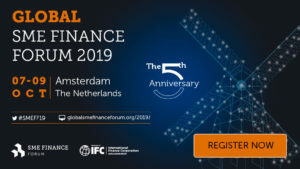 Join leaders from banks, fintech companies, development finance institutions, and regulators at the Global SME Finance Forum 2019 on October 7 in the Netherlands. 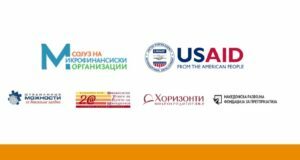 The conference will examine the different ways in which the real sector has entered the SME finance space, and the various ways in which financiers are coping with the “new kids on the block.” The action-packed event will include interactive sessions, study visits to high performing institutions, a B2B marketplace, fintech expos, and ample networking opportunities. The Forum will announce the Global SME Finance Award recipients on October 7. Endorsed by the GPFI, the Global SME Finance Awards provide an opportunity for institutions to showcase and share their good practices. Super Early bird 40% until the end of May! MFC members benefit from 25% additional discount. 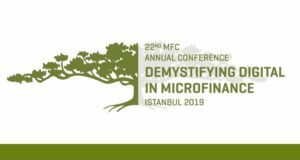 In order to get the discount code please contact MFC (microfinance (@) mfc.org.pl).